New Pro 1-Offs from Santa Cruz Skateboards. 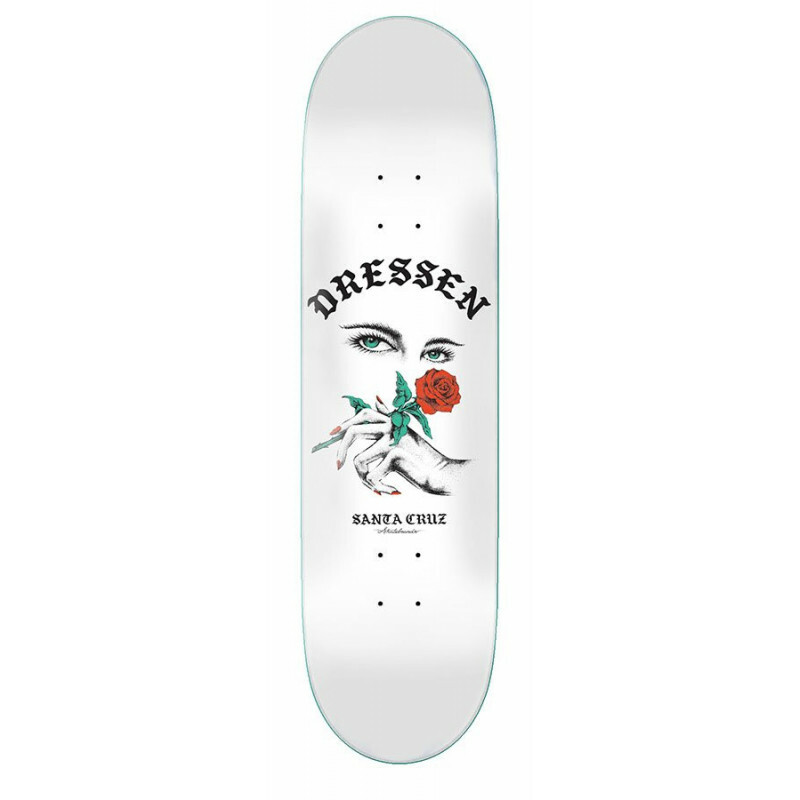 Eric Dressen's "Rose Kit" board is designed and shaped to perform equally well in the park or in the streets. Flip your board and then scratch some grinds; this shape can handle it all. All Santa Cruz Skateboards are made with 100% North American Maple. SC's new Taper Tip is a based off the 90’s style pointy shape nose and tail but with a current popsicle width. This shape is specifically designed for a technical street skater and provides a ton of scoop to your 360 flips both regular and switch. Wheelbase: 36.6 cm / 14.4”. Gripped: Free sheet included (select below).